Phenomenal female chefs are changing Paris's restaurant scene. Leading the movement: 30-year-old Tatiana Levha. F&W's #FOODWINEWOMEN series spotlights top women in food and drink in collaboration with Toklas Society. Use the hashtag on Twitter (@foodandwine) to nominate the women chefs you love for the chance to be featured. 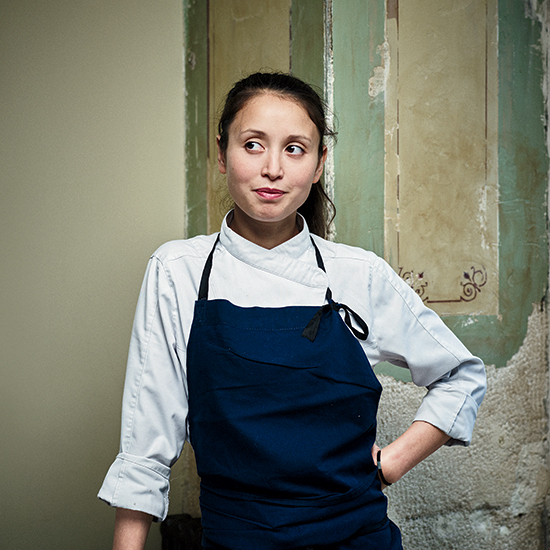 What: Phenomenal female chefs are changing the Paris restaurant scene and 30-year-old Tatiana Levh is leading the movement. For the first time in my life, I can name more than a dozen incredible female chefs cooking in Paris right now. Amélie Darvas at Haï Kaï, Alice Di Cagno at Chatomat, Beatriz Gonzalez at Coretta, Camille Fourmont at La Buvette—these are just a few of the women who have turned impeccable résumés into singular restaurants. Taking advantage of Paris’s new bistro format—small space, small menu, amazing ingredients—they’ve become entrepreneurs, preparing food in their own places that’s as good as anything in town. Even among these notable women, Tatiana Levha of Le Servan stands out. The 30-year-old’s cooking reflects exactly who she is: a Filipina-French woman who trained with two of Paris’s (and the world’s) best chefs, Pascal Barbot of Astrance and Alain Passard of Arpège. “Her food is different from anything else in France,” says Momofuku’s David Chang, a big fan. Her short menu is shot through with thrilling tastes. She makes nut butter from ginger and cashews, two items rarely seen in French cooking, then stuffs it under the skin of magnificent mahogany-seared guinea hen. Following the example of her mentors, Levha treats vegetables seriously, serving that hen alongside cauliflower steak with the tender green leaves and ribs attached. Name your favorite up-and-coming chefs @foodandwine using #FOODWINEWOMEN.